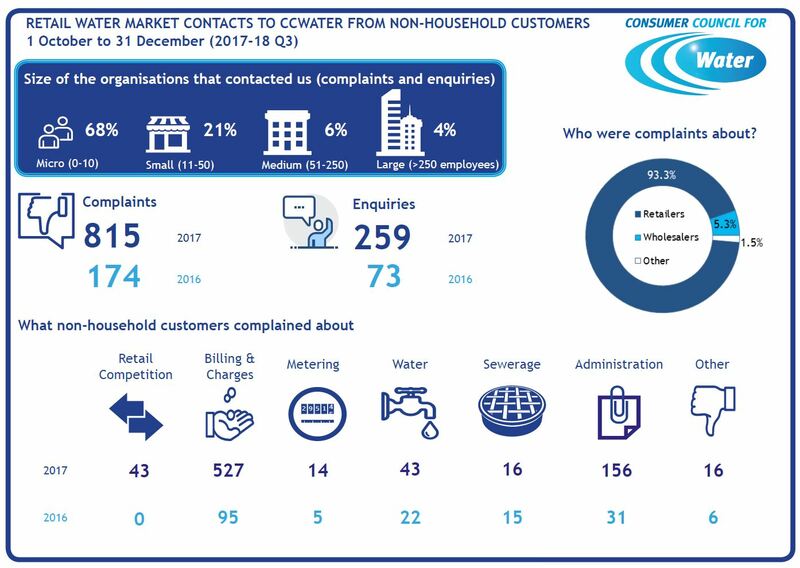 MOSL and The Consumer Council for Water (CC Water) have published data on market activity and customer complaints from the third quarter (October-December 2017). 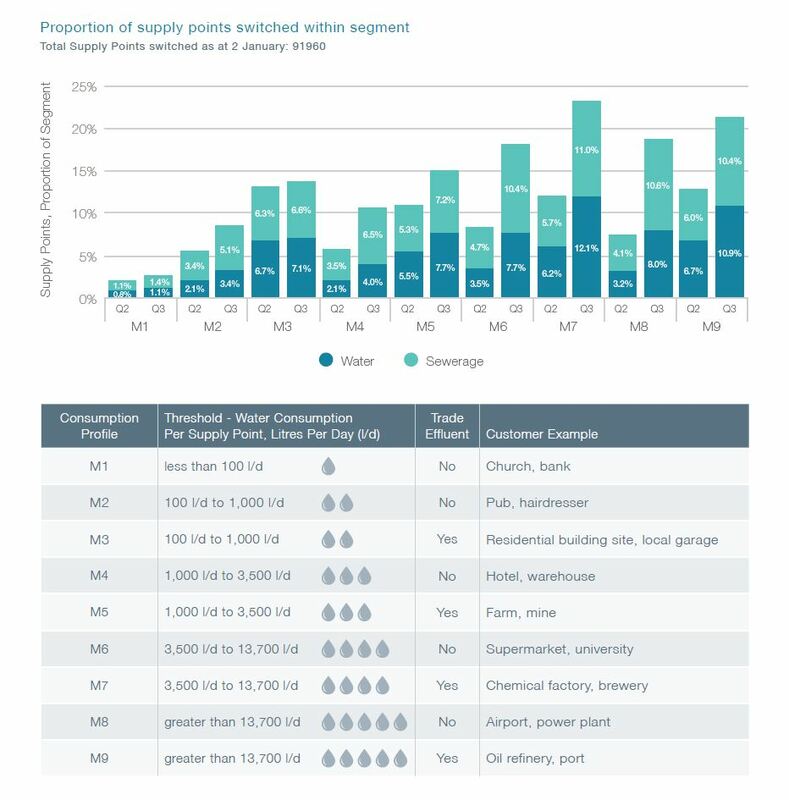 The third quarter has seen over 30,000 switches – representing the largest number of meter points in England and Wales switching water and wastewater supplier since the market opened in April 2017. 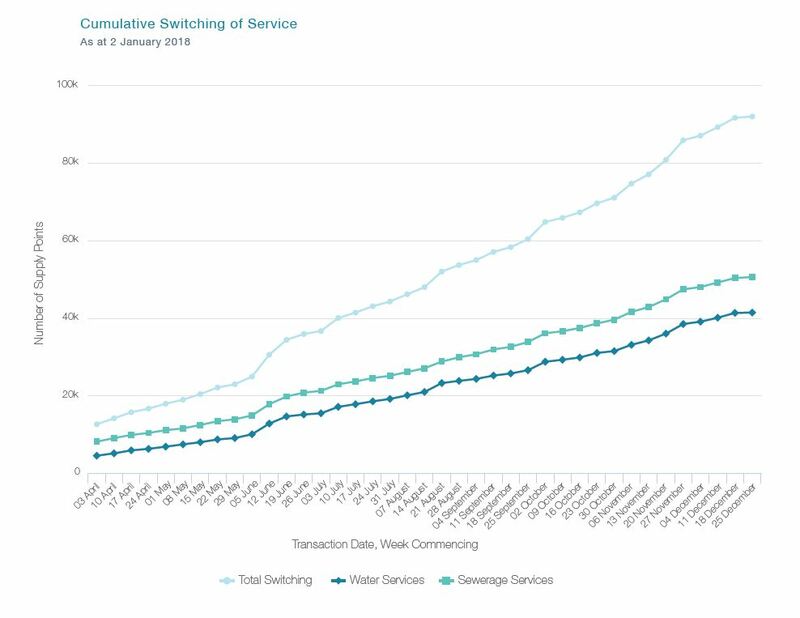 As at 2 January 2018, there have been 91,960 switches, equating to almost 3.5% of the 2.7 million supply points in the market. 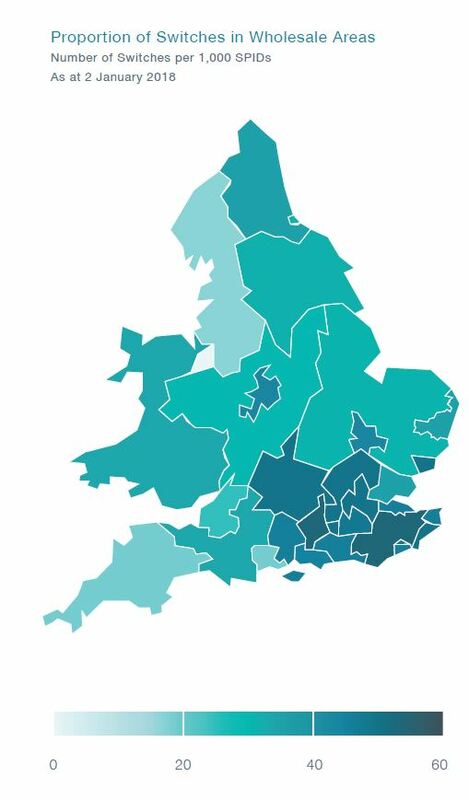 The report breaks down the differences between the regional retailers for the first time, showing that the highest levels of switching activity can be seen in the south and south-eastern areas of England. Complaints data released by CC Water shows that complaints have seen an increase this quarter. 30,649 supply point switches were processed during the third quarter, bringing the total number so far since market opening to 91,960. This represents almost 3.5% of the 2.7 million supply points in the market. MOSL also monitors switching activity according to water consumption per supply point. CC Water compiled customer complaint data from the third quarter.